Marijuana extraction is the process of releasing and concentrating desired compounds. Techniques must be evaluated to determine exactitude of retained properties and holistic attributes. Under the current Cannabis Act (Bill C-45) of Canada, extracted marijuana products are not legal for sale. 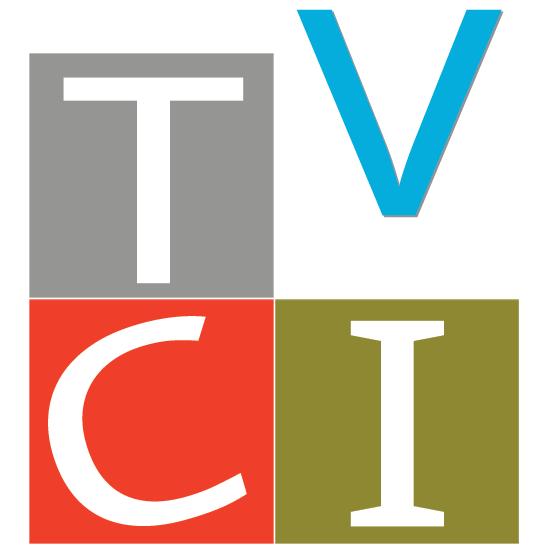 TVCI provides this list of extraction methodologies for educational and informational purposes only. Refine compounds to desired measures. Ease of use and transport. Final extraction free of residual solvent. COA must be created after extraction process. In-house and third-party extraction facilities must have clearly defined and current GMPs in place. Butane extraction retains high levels of cannabinoids and terpenes, and creates a flavourful golden oil. Cautions include – the use of butane solvent that is highly flammable requiring laboratory facilities and corresponding skilled technicians; and the critical necessity of removing all solvent from the final product. Propane may also be used in combination to select compounds not pulled by butane-only extraction, to achieve a fuller spectrum. In professional conditions this extraction method is a closed loop system. Expertise is required to expunge residual solvent while at the same time retain terpenes with low evaporation points. Testing the final product for residual solvent is a vital step of butane extraction. A Certificate of Analysis must be completed on the final product to detail compounds. Dry Sifting is a manual, artisanal extraction process that involves no solvent. It is a physical sifting of the dried marijuana flowers through screens of varying mesh size to release the trichomes. The powders from the different sized screens may be mixed together to create the combination of medicinal profiles one is looking for. While dry sifting is a low-tech method, it requires expertise to create a final extraction of purity, flavour and potency. The extract made from dry sifting is known as kief. Ice Water Extraction uses ice water and filter screens to separate and concentrate the marijuana’s trichomes. This extraction process is solvent-free and the simplest methodology of water extraction can be accomplished using common household items. A proper drying to eliminate moisture is vital to an ice water extraction. Expertise in this method is required to retain cannabinoids, terpenes and essential oils. End products are known by the common name of bubble hash and a more refined version called full melt. Mushrooms that offer triterpenes are also extracted using an alcohol extraction method to make the triterpenes bio-available. Ethanol is the a common alcohol solvent. Mushrooms with triterpenes will be extracted twice: once using a hot water extraction process and the second using an alcohol extraction process. Rosin Extraction may be used on the plant flower – or on concentrated kief or water hash. Heat and pressure are combined to squeeze out the extract. The skill lies in finding the right heat to extract as high as yield as possible without degrading terpenes. Dried flowers may be extracted using the rosin technique. High quality kief or water hash may be further refined into a potent rosin. A noteworthy extraction method because rosin is solvent-free, potent and may be safely created on demand using common household items as well as professionally produced in dedicated facilities. Dispensaries may also make rosin presses available to customers in-store - a welcome value-added service. Live rosin is created when the technique is used with dry sift or ice water extractions made from fresh cryogenic frozen flowers. Supercritical Carbon Dioxide (SCC02) extraction utilizes CO2 which is kept under high pressure creating a supercritical fluid.The extremely low boiling point and water solubility of CO2 results in wide-spectrum extract and easy removal of the CO2 solvent. SCCO2 extraction is expensive due to the large and costly machinery required to support the required high pressure. The retention of compounds makes SCCO2 a leader in extraction technology. Due to the lower temperatures required to perform SCCO2 extraction, the cannabinoid acids will not have been decarboxylated. Vape-pens will decarboxylate the acids to cannabinoids; the consistency of SCCO2 extract is perfect for vape-pen cartridges. Cannabis Tincture is a concentrate made by soaking decarboxylated marijuana in any edible high-proof alcohol or vegetable glycerine. Easy to make and easy to consume – either by swallowing (effects come on slowly like edibles) or sublingual administration (faster onset of effects). Tinctures are discreet and dosages are easily adjusted. Cannabis concentrates may be refined further into pure, single compound cannabinoid oils known as Cannabis Distillates. Typically THC and CBD are the compounds most likely to be isolated. First the concentrated Cannabis extract is refined using a technique called winterization: a polar liquid is used to dissolve the non-polar extract; freezing; then filtering out remaining waxes, fats and lipids. The isolate is then decarboxylated. Finally the isolate undergoes a process called short-path distillation where it is subjected to heat, steam and vacuum pressure to fraction by it’s molecular weight and boiling point into a single compound. Multiple passes further clarifies the substance to create the purest form possible of a single cannabinoid. The potential for research and resulting new formulations for health is ongoing. There is no such thing as a Full Spectrum Extract: The term is an oxymoron. The very process “extracts” for desired compounds and all extraction techniques denature the original material to some degree. For marijuana, extracts offer concentrated and precise compound dosages. Marijuana extracts must be correctly labelled in order to for the industry to maintain credibility. » The term “full spectrum extract” is not approved for use under The Vancouver Cannabis Initiative.